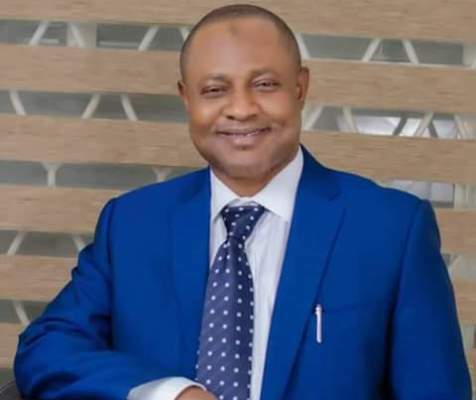 Alhaji Uba Sani was among those given the certificates on Monday by Mr. Mathew Idouriyekemwen, the Chairman of the electoral committee set up by the National Working Committee (NWC) of the All Progressive Congress (APC) to conduct primaries in Kaduna State. The certificate of return was given to Uba Sani despite the insistence of the incumbent senator, Sen. Shehu Sani, that he was given an automatic ticket by the party’s NWC, ChannelsTVreports. With the issuance of the certificates, the senatorial candidates in are Uba Sani for Kaduna central, Suleiman Abdu-Kwari for Kaduna North and Bala Bantex for Kaduna south. Uba Sani is said to be the preferred candidate of Governor Nasir El-Rufai of Kaduna state. Gov. El-Rufai of Kaduna with Uba Sani, the preferred candidate for Kaduna Central senatorial seat. The committee also presented certificates to winners for the House of Representatives and State Assembly elections. In his remarks, the electoral committee chairman said the primary was free and fair and has the backing of the party’s national leadership. Shehu Sani had lost the APC ticket in the primary conducted by delegates from the zone in which he garnered only 15 votes. Sani had earlier indicated that he would not participate in what he called a “Kangaroo election organised by the Kaduna State Government’’. The election was conducted at the Murtala Square in Kaduna. The Returning Officer, Prof. Eddie Floyd-Igbo, declared Uba Sani, a Special Adviser to Gov. Nasiru El-Rufa’i, as the winner with 2,088 votes, while his closest rival, Usman Ibrahim-Sardauna was said to have secured only 129 votes.